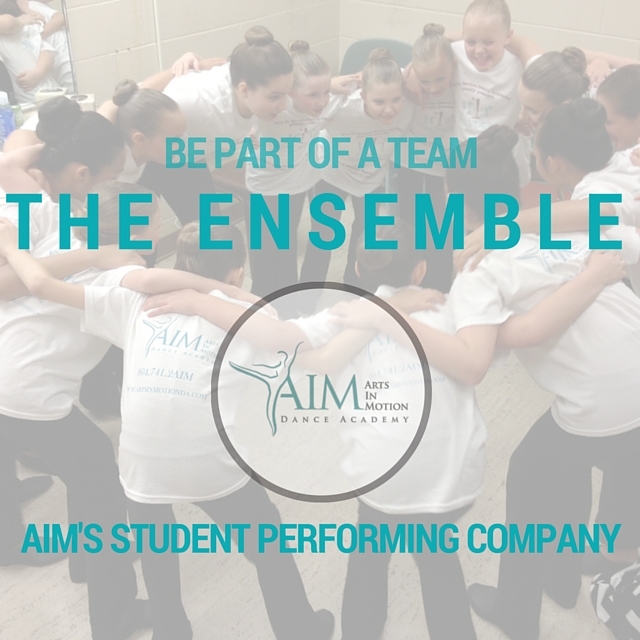 The Ensemble is AIM’s student performing company. Acceptance into the Ensemble is by invitation only. Dancers are selected based on their technical skill, performance quality, stage presence, work ethic, and dedication to dance. Ensemble dancers perform throughout the school year in the Richmond community, including local fairs/festivals, school events, retirement/assisted living facilities, adjudicated concerts, and more. Being a member of the Ensemble helps dancers develop their technique and confidence while building lifelong friendships and learning the value of community service. More info about the 2018-2019 Ensemble season coming soon!